Build a beautiful and powerful website to showcase your books or online programs and exude a six-figure author persona beaming with authority. Author theme is a Premium WordPress theme for authors and infopreneurs. 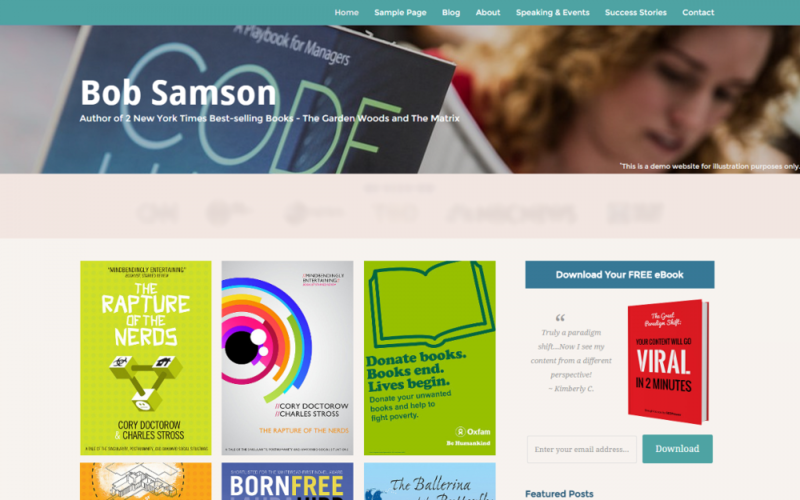 You can showcase multiple books or online programs with this theme. The theme can as well be used for blogs, review sites as well as corporate and personal websites. Author theme is created using the Somo Framework making your site social, mobile and search friendly out-of-the-box.